The federal government’s largest cybersecurity research and development (R&D) showcase is coming in mid-July. The showcase and conference will be July 11-13 at Washington, D.C.’s Mayflower Hotel. 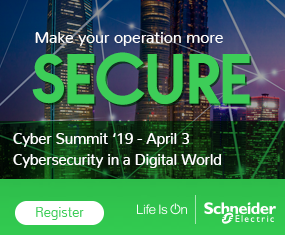 This annual technology event — sponsored by the DHS Science and Technology Directorate’s (S&T) Cyber Security Division (CSD) — should draw 1,000 government, industry and academia cybersecurity professionals from the U.S. and abroad over three days. Each year at the R&D Showcase and Technical Workshop, CSD brings together its researchers, stakeholders and public and private-sector partners to spotlight its research projects. It also facilitates collaboration among its researchers and the cybersecurity R&D community and connects funded technologies to potential transition partners. In all, 15 research areas will be featured: mobile security, cyber-physical system security, software assurance, data privacy, identity management, distributed denial of service defense, next generation cyber infrastructure, technology transition, cyber risk economics, cybersecurity research infrastructure, modeling of internet attacks, support for law enforcement, moving-target defense, cloud security and insider threats. The conference’s highlight is the July 11 R&D Showcase, during which 10 mature technologies and projects addressing complex cybersecurity issues will be presented. Projects include Securely Updating Automobiles by Justin Cappos of New York University; Mobile App Vetting by Angelos Stavrou of Kryptowire, LLC; and Self-Shielding Dynamic Network Architecture by Nick Evancich of Intelligent Automation, Inc. The Technology Demonstration and Poster Session that same afternoon will feature firsthand looks at 60 cybersecurity R&D tool, technology or technique projects from CSD’s research portfolio. On July 12 and 13, the Technical Workshop will feature more than 100 presentations, including mature technologies ready for transition, spotlighting the work of CSD’s funded researchers. There are a couple new additions to this year’s Technical Workshop such as presentations by representatives of startup firms engaged by DHS S&T’s Silicon Valley Innovation Program(SVIP) and researchers funded by CSD’s international partners.